To get the measure of Palestinian teenager Ahed Tamimi, you need look no further than an interview in which she explains the pendants on her necklace to a journalist. This statement perfectly sums up the unflinching spirit of resistance that is consistent throughout Palestine, and especially in the town of Nabi Saleh in the disputed West Bank territory where Ahed Tamimi lived almost 600 members of her extended family. 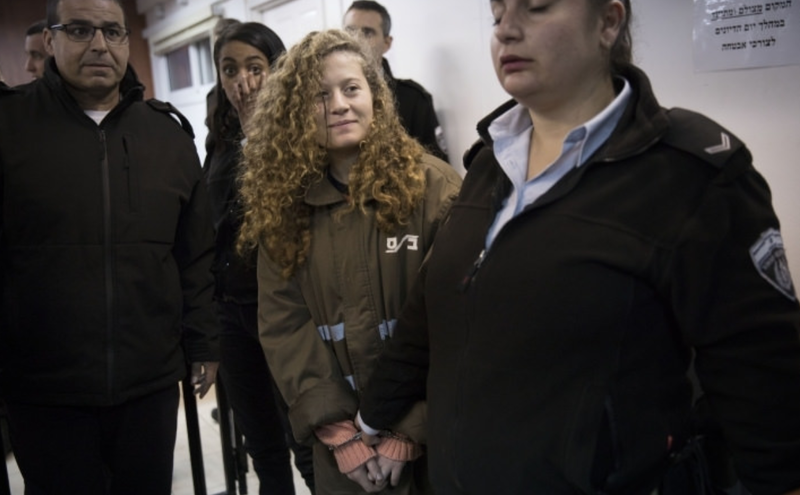 She is currently serving 8 months in an Israeli prison for after pleading guilty to 4 charges including assault, incitement, and two counts of obstructing soldiers. The Six-Day-War of 1967 left Israel in control of The West Bank and The Gaza Strip, formerly part of Palestine under British rule. Both Israel and Palestine believe they have a claim to the land, previously part of the Ottoman Empire. 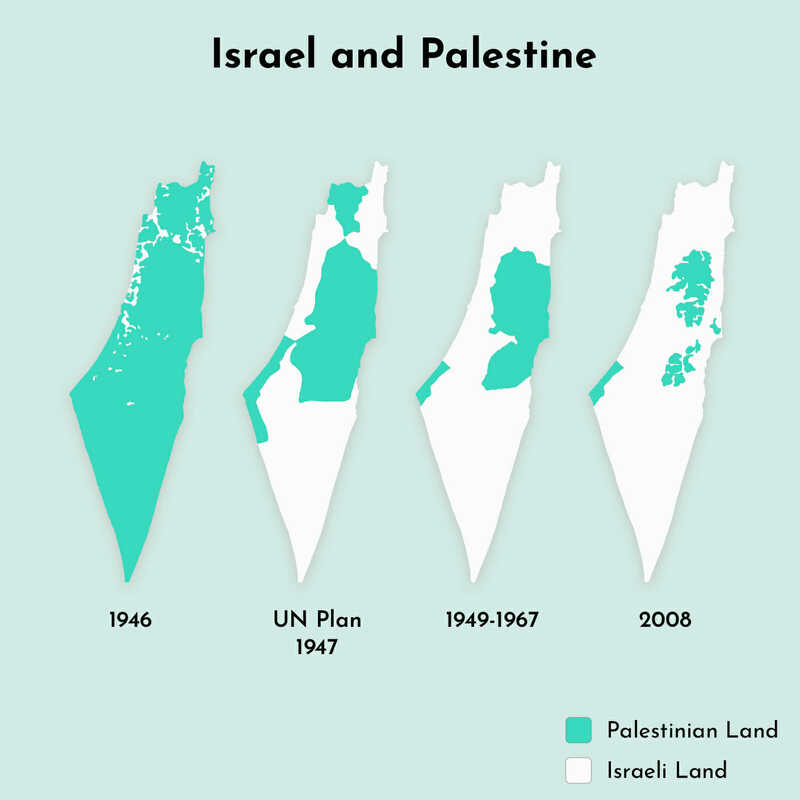 The West Bank is home to 2.6 million Palestinians and as of 2013 is recognised as illegally occupied Palestinian land by the majority of the United Nations countries, despite the heavy presence of Israeli military control. A video of 17-year old Tamimi ‘assaulting’ an Israeli soldier who was stationed outside her house resonated far beyond Israel’s borders, depicting her as a hero of resistance, a villain and a paid provocateur. What the video doesn’t show is that moments before, Ahed’s cousin Mohammed Tamimi, 15, was shot in the head by said soldier with a rubber bullet, resulting in injuries that meant he had to have a third of his skull removed. The Israeli military and media have branded that version of events as ‘fake news’ and claim that the injury was caused not by a bullet, but by a bike crash. 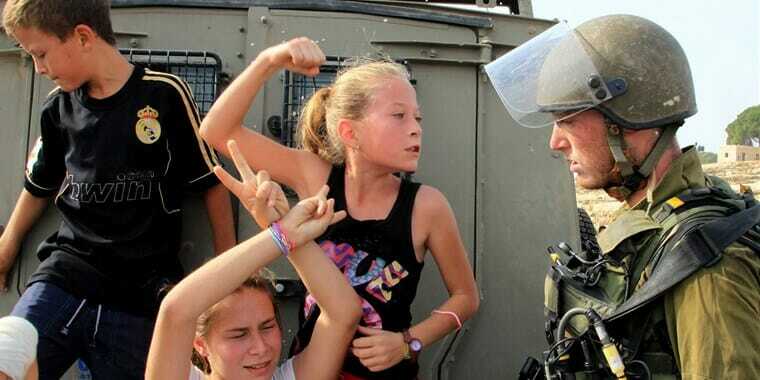 The Tamimi’s are famous for their activism. Ahed’s father Bassem Tamimi spent 13 months in a military jail in 2012 for ‘sending people to throw stones, and holding a march without a permit.’ Bassem used to arrange weekly peaceful protests in Nabi Saleh and his arrest drew international attention, with the European Union describing him as a ‘human rights defender’ and Amnesty International designating him a prisoner of conscience. Ahed went viral again in 2015 when she was filmed resisting a soldier who was violently trying to arrest her brother, then 12. 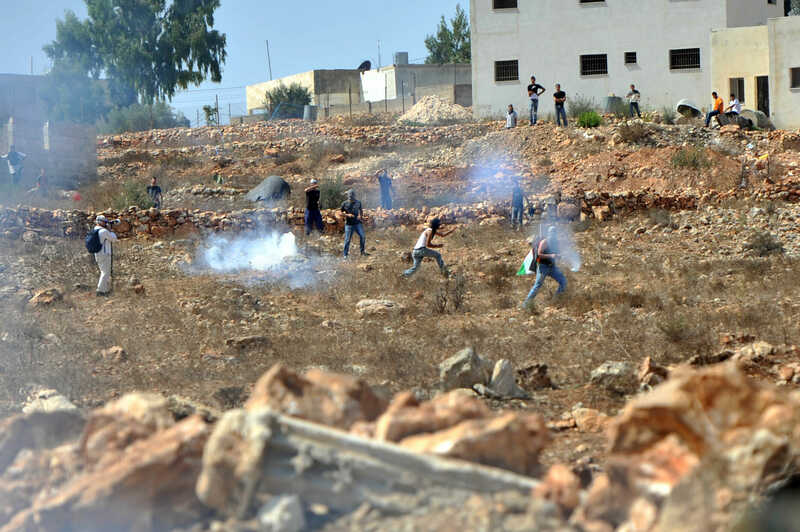 As monstrous as it sounds, this is daily life for Palestinians in the West Bank. Why though, if violence and resistance are such commonplace events, has Ahed specifically caught the eye of the international media? Oren Persico, journalist for Israel’s only independent and investigative publication The Seventh Eye describes the reaction in Israel to the footage as focusing first on the ‘strong soldier who stayed calm while under attack’, quickly transmorphing in to a focus on ‘the weak soldier’ who let such offensive behaviour slide. 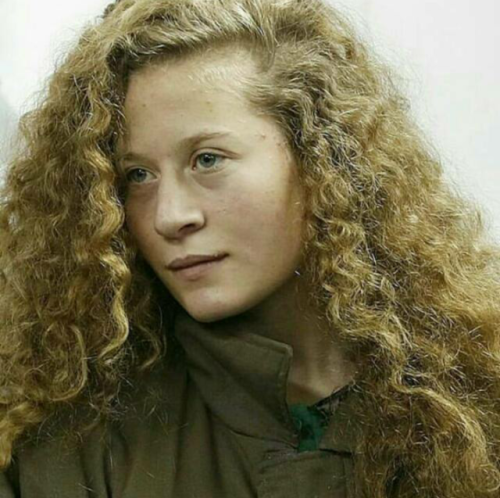 This juxtaposition of what Israelis believe Palestinians should look like and Ahed’s appearance led to the Israeli media accusing Ahed of being an actress, planted by the West and not Palestinian at all. Journalist and author of The Way to the Spring: Life and Death in Palestine, Ben Ehrenreich has also argued that Ahed’s looks have played a part in gaining her not only Israeli attention, but international. 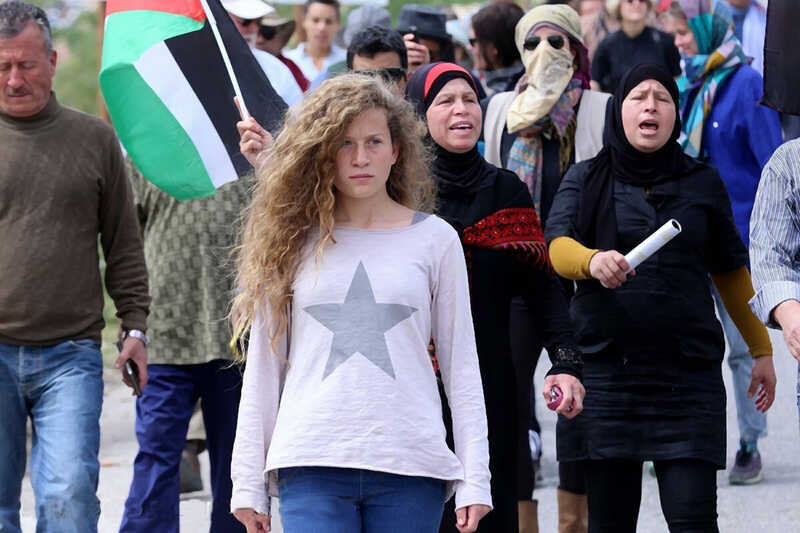 The rise of social media and citizen journalism has also added greatly to why Ahed has become an international symbol of both resistance and insolence. Activist and Nabi Saleh resident Manal Tamimi cites media as ‘a very important tool’, in resisting the Israeli Defence Forces, and indeed, since the introduction of social media and readily available recording technology, activists, journalists and aid workers have been flocking to the West Bank, and the Palestinians now have the power to challenge the Israeli narrative. The Israeli media has spent nearly 50 years hiding the conflict behind propaganda and the dehumanisation of Palestinians. The curious case of Ahed Tamimi has dismantled Israeli propaganda and exposed their blanketing tactics to the world. Without taking sides, it is still easy to see injustice here. Ahed Tamimi has given a recognisable face to the Palestinian resistance, one which Israel is now trying hard to make people forget.